Where there's a will, there's a Rightaway! WALL TOWNSHIP, N.J., March 24, 2016 /PRNewswire/ -- Key Software Systems, creators of Xcelerator, has watched the growth of Interconnect swell in 2015 with a 257% upsurge in usage. The explosive growth is changing same-day delivery across the country and highlights the industry's sharing mentality that has been steadily growing over the past few years. Interconnect brings Xcelerator customers together in a seamless, real-time dispatch-to-dispatch environment to manage on-demand, scheduled, e-commerce, white glove and distribution deliveries. Initially launched in 2009, Interconnect has been encouraging partnerships between Xcelerator customers to help expand their geographic footprint and supplement their revenue without added costs. "When we started Interconnect, customers were winning bids for regional and nationwide same-day and next-day deliveries in new territories and they had two options to service the shipper; either establish a physical presence in the new service area which meant finding new drivers and office space in an unfamiliar territory or they would look for Agents that already service that area, using an EDI to connect systems. Interconnect eliminated the need to add physical resources saving companies thousands of dollars and simplified the Agent onboarding process with a 10 minute set-up to connect with another Xcelerator user without the use of an EDI. Now, two partners can begin to trade order data in minutes while keeping the Shipper up to date with real-time updates regarding their shipments, including time stamps, status codes, scan history and signatures to name a few," states company President Charlie Pisciotta. In 2014 Interconnect orders totaled 98,500 for an average of 269 orders per day going between partners. Significant growth came in 2015 where Interconnect reached about 1,000 orders per day, totaling 352,000 for the year. Based on the first quarter of 2016, Interconnect is on pace to grow 84% over last year's numbers, moving upwards of 600,000 orders through Interconnect partners. Columbus Delivery Service out of New York City was one of the early adopters of Interconnect. As a leader in last mile distribution, Columbus Delivery began leveraging the technology to rapidly expand their footprint. General Manager of Columbus Delivery, Adam Autera states, "Technology like this makes our partner companies effectively our own. Our CSR can dispatch work to a partner in Pennsylvania and the jobs will be delivered and POD'd by the partner without any further attention from us. We received the real-time updates and still remained the one point of contact for our customer. We went from being a local New York City company to having a rock-solid infrastructure throughout the Tri-State area, to being a regional player in the Northeast and Mid-Atlantic practically overnight." The nature of Interconnect also enables Xcelerator customers to create their own nationwide network of carriers, built on one platform, ensuring the highest level of data integrity, accountability and efficiency throughout the relationship. Leading the way in nationwide distribution through Interconnect is Rightaway Delivery out of Ann Arbor, Michigan. Rightaway President, Ben Kaplan divulges, "Rightaway Delivery has evolved from a brick and mortar regional carrier servicing Michigan, Indiana and Ohio, to a national logistics provider. With help from Xcelerator, the Interconnect feature and the people I meet at industry conferences like the ECA and CLDA, we successfully executed several distribution projects that consisted of 10,000+ deliveries each, spread out across the country. It's a Win-Win-Win situation, the customer wins, the agent wins and we win!" Charlie closes, "Looking from where it started, we couldn't be more excited with the growth our customers are experiencing with Interconnect. It's putting a spotlight on the fact that competitive companies can share, exchange ideas and grow. Attending trade shows like the ECA, CLDA and state associations reinforce the trend we're seeing, driving excitement levels to new heights and leading everyone to a path of success." Xcelerator & MobileTek are enterprise-class software solutions designed by Key Software Systems, for today's courier, messenger, logistics, distribution and warehousing industries. For more information, screen shots and detailed descriptions, visit www.KeySoftwareSystems.com or call 732-409-6068 to speak with a representative. Follow us on Twitter for up to the minute technology information @KeySoftwareSys. Columbus Delivery and Logistics is a family-owned company established in 1955. As a leader in Last Mile Distribution, Columbus services their Regional footprint with 60 plus years of excellence and hands on experience. For more information about Columbus Delivery and Logistics you can visit www.ColumbusNY.com or call 212.989.1200 to speak with a representative. Rightaway Delivery was founded in 1999 and offers flexible delivery and distribution services nationwide. 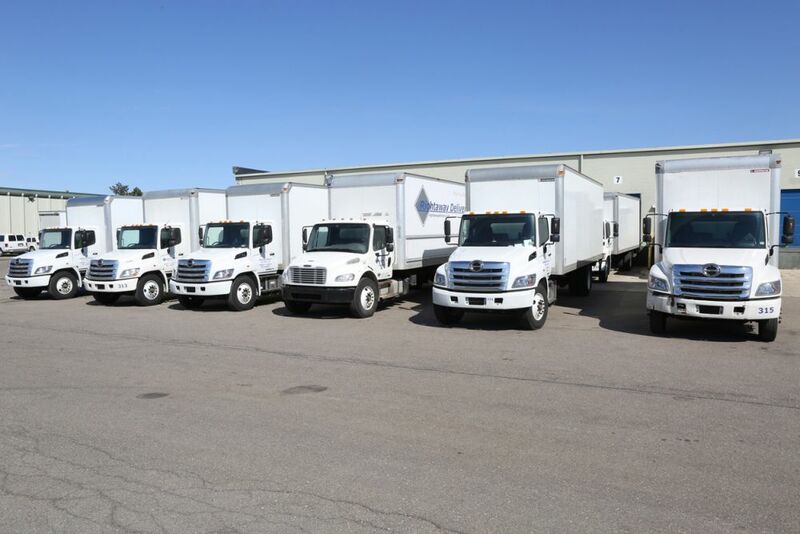 Designed to provide fast, cost-effective services to their customers, Rightaway Delivery provides a personal touch to help you through any logistical challenges you may encounter. For more information about Rightaway Delivery you can visit www.RightawayDelivery.com or call 734.926.4720. To view the original version on PR Newswire, go here. Rightaway will be at the CLDA Final Mile Forum 2019! Here at Rightaway Delivery, it is all about you, the customer. We customize our operation around your needs. Rightaway exists because of, and for you. We understand that we are only as good as our drivers, customer service representatives, and managers.